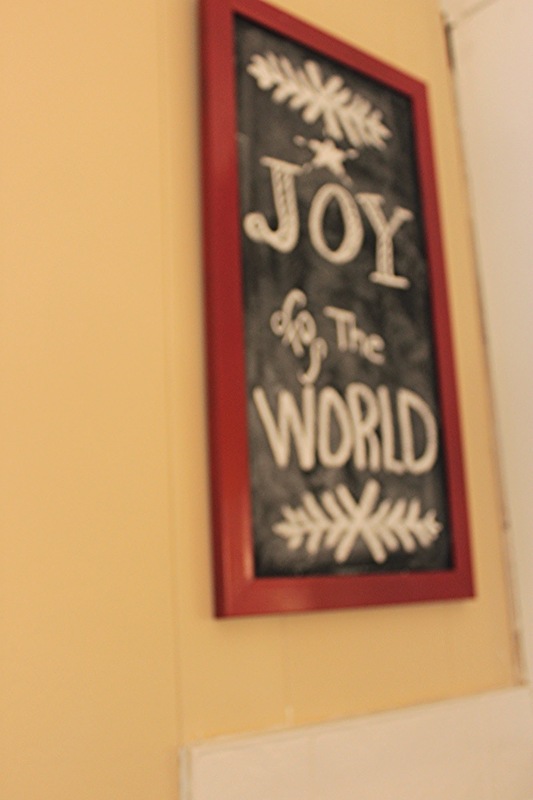 If you remember the word joy appeared several times in my Christmas decorating (click here for tour). 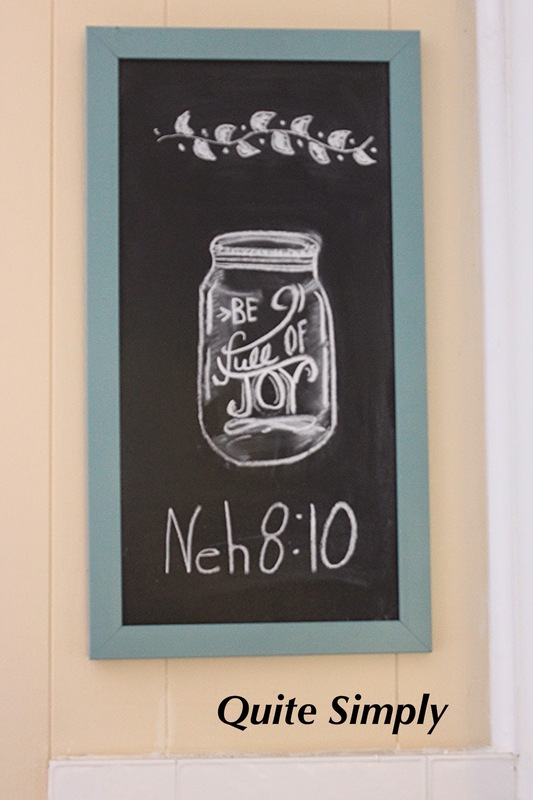 I just decided to incorporate "Joy" throughout the house and then after Christmas I packed "Joy" up with the rest of my holiday decor. As I reflected on not just the sermon, but these verses, I decided to make Joy my word for this year. That I would live not in the circumstances of my life, whether good or bad, high or low, but on the joy that only comes through a relationship with Christ. I had to ask myself, would others consider me a joyful person, mind you not happy, which comes and goes, but joyful that comes from the inside and is constant. If not, why? Am I seeking joy in the temporary, or the eternal? So much to ponder, but certainly a worthy guide for 2015. This chalkboard was made from a picture frame to fill in the awkward space by my cabinets. The glass was spray painted with chalkboard paint and the frame painted red for Christmas, now this Robin's egg blue to match some curtains that is a current project. If you haven't already may you find the eternal joy that comes from knowing Christ in 2015. If you would like to hear the sermon "Why God Saved You" check out the church website at Humble Area First Baptist Church.